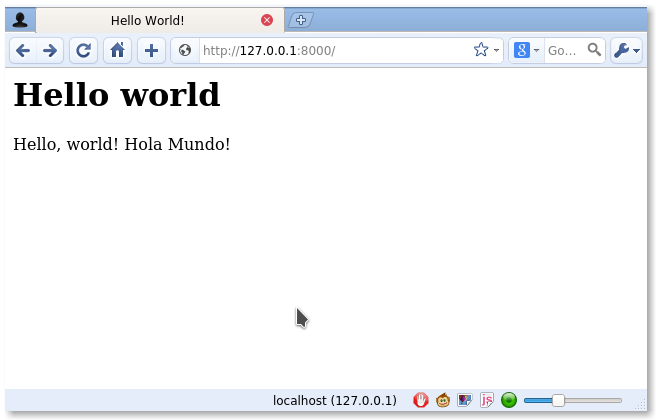 Create hello world in django? In this article we’ll create the hello world app. If you do not have Django installed, see the previous tutorials. Wait.. what did we just do? 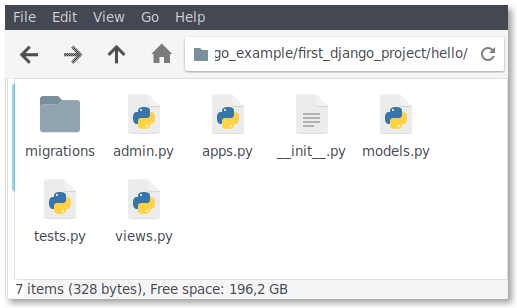 Django projects can have multiple apps. Every app is like a website component, it has unique functionality. We create the hello world code. A lot of code! Which file do we need to change? We’re gonna create our view in here. Note: A view returns what the visitor sees: a webpage. We’ll use HTML and a class to create the view. We create a class HomePageView with the method dispatch. This methods return the webpage code (in HTML). Python needs to return the view, if we visit the webpage. If we visit a webpage, the web browser sends a HTTP request. To link views with the HTTP request, we create a new route. Then we edit first_django_project/settings.py. Apps can be added or removed in this file. Add our hello app to this list. We’ll remove the line SessionAuthenticationMiddleware. Finally we’ll disable the database. This is defined somewhere on line 72. If you see the above result, you completed this lesson!